Another week of further game development has ended and the Closed Alpha environment got updated once more. The team has been working on several larger tasks that are needed to open the game soon. Today’s changelog shows you all new features and changes that were ready to go live this week. Among others, the rewards of six missions have been increased and the standard update day has been changed to Wednesdays. 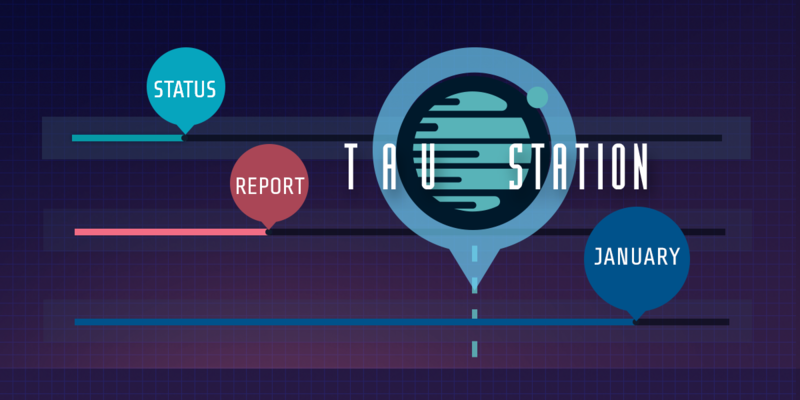 ➔Continue reading "Update Changelog 2018-Mar-07"
➔Continue reading "Tau Station Status Report: February 2018"
It’s the last week of February, and it’s time again to update Tau Station’s Closed Alpha environment. As with last week, new missions have been added. A lot of your reports resulted in changes and improvements this week as well. The game feedback has been improved and you can now reply to the very creative blog posts which several adventurers have created on their profile pages. ➔Continue reading "Update Changelog 2018-Feb-28"
➔Continue reading "Update Changelog 2018-Feb-21"
➔Continue reading "Update Changelog 2018-Feb-13"
➔Continue reading "Update Changelog 2018-Feb-07"
➔Continue reading "Tau Station Status Report: January 2018"
A new week – time for a game update and a fresh quick overview of all changes and improvements that happened this week. Please keep sharing your testing experience and findings with us. Thank you for the amazing support and feedback. You can discover a new mission and next week it will be time for some more! 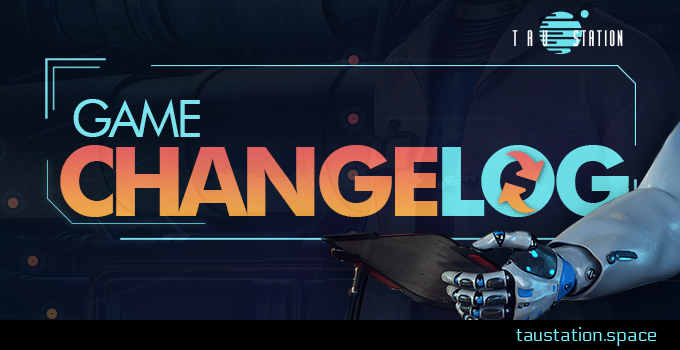 ➔Continue reading "Update Changelog 2018-Jan-31"
On Tuesday, January 23rd, Tau Station gets its second update. Thanks to all Closed Alpha testers for your input. Check out the improvements and several new comfort features that are being included this time. The Closed Alpha Test will continue, and there is more to come next week! 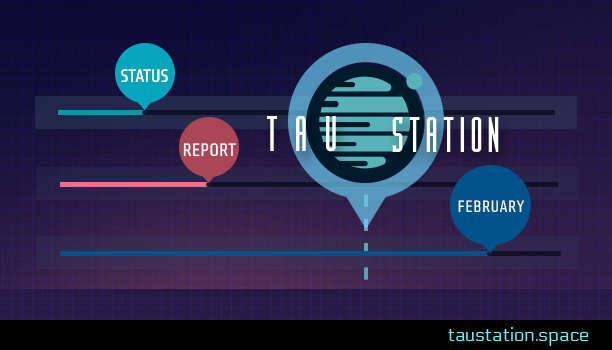 ➔Continue reading "Update Changelog 2018-Jan-23"
On Tuesday, January 16th, Tau Station gets its first update. Thanks to all Closed Alpha testers for your input. From now on, a changelog will always provide a short summary of the improvements, fixes, and new content/features implemented with each new version. Have a look at this very first changelog to see which changes and improvements have made it into the game already. ➔Continue reading "Update Changelog 2018-Jan-16"